Ever thought of taking woodwork lessons? Here’s your chance! Woodturning, furniture making, woodworks – learn something out of the ordinary! 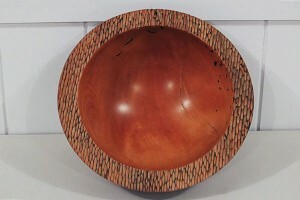 I’m Chris (more commonly known as Woody) and I’ll teach you the art of woodturning in one of my woodwork lessons. Following in our family tradition where one in each generation works in either woodcraft or steel, I started my workshop Woody’s Place where I run lessons for both Kiwis and tourists, ranging from one-day courses to multi-day furniture making/restoration workshops. Woody’s Place evolved from my passion for trees and being creative with wood. I have worked as a tree surgeon for 10 years during which I collected some amazing timbers for that “One day when …”. Then I bought a lathe … and now I run woodworking courses and a woodcraft gallery! Whether you are a local, keen to make your own furniture and express those Kiwi DIY genes or whether you are a tourist, looking for things to do in Taupo – I can help you discover your hidden creative talents too. Many of my students keep returning and overseas visitors in particular have ranked their woodcraft day as really unique as they get to take their very tactile creations home. Both the woodturning workshop (or man cave) and woodcraft 3ART Gallery are just 10 minutes’ drive from Taupo in a rural location. Book your experience today – I’m looking forward to welcoming you!